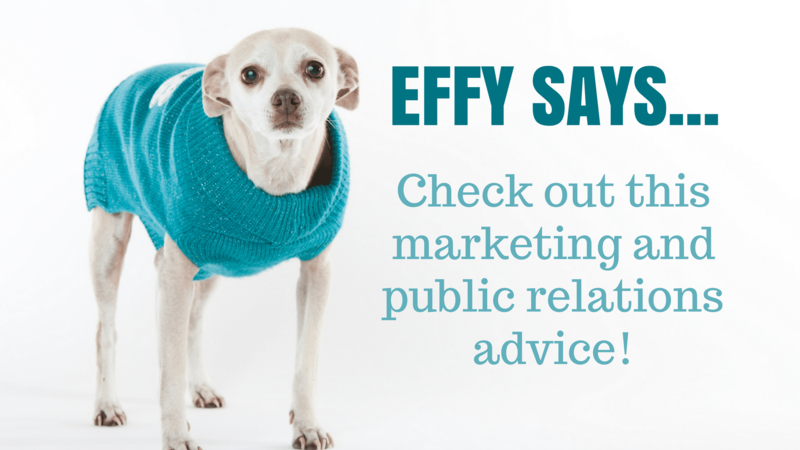 Effy Says… What Does Our Team Of Social Media Managers Do? 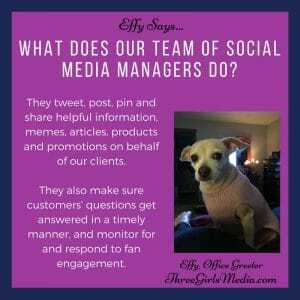 Your social media is only as strong as its manager! 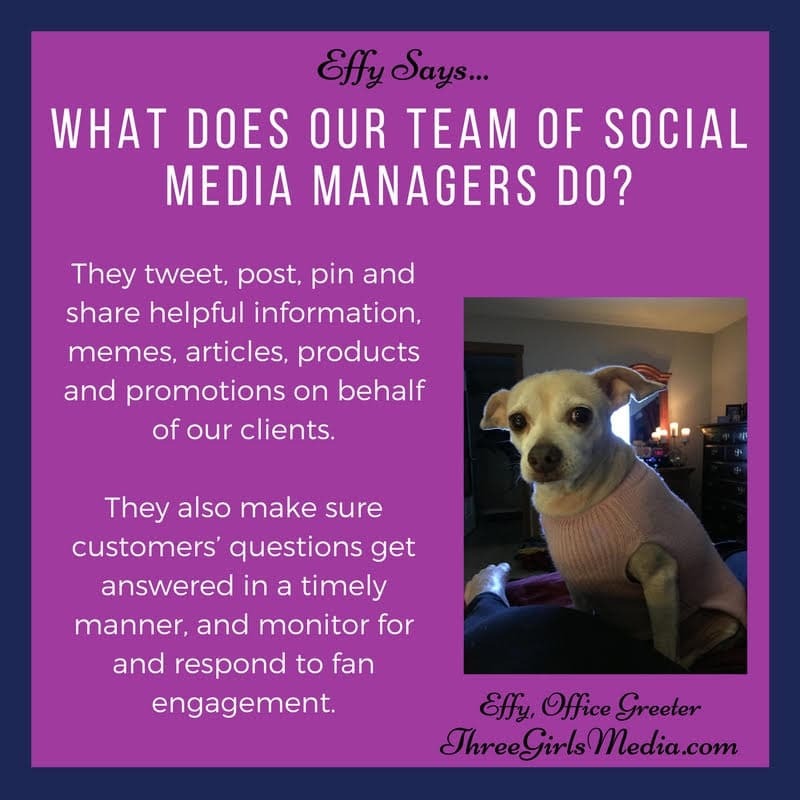 At Three Girls Media, our social media team is constantly on the lookout for new ways to strengthen content and engage with your audience.